Halloween is approaching fast, and children often develop an interest in creepy-crawlers at that time. Educators might want to take advantage of this interest and pull out some books about spiders. 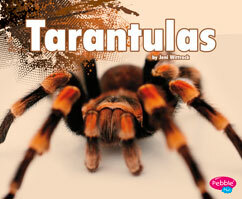 Today for STEM Friday we’re featuring the beginning reader Tarantulas (Pebble Plus) by Jeni Wittrock. The sight of a tarantula is likely to evoke strong reaction in people, because either they are fascinated by these large spiders or extremely fearful. No matter what the reaction, this book will help young readers learn more about the anatomy, life cycle and behaviors of tarantulas. With carefully controlled vocabulary and short sentences, the child can gain confidence reading while at the same time increasing their understanding of the natural world. Sue at Archimedes Notebook has a If You Want to See a Grass Spider, with great suggestions for observing a spider in nature. 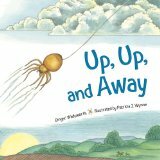 She also has an earlier review of Up, Up and Away by Ginger Wadsworth and Patricia J. Wynne (Illustrator). 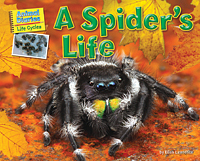 At NC Teacher Stuff, Jeff recently featured A Spider’s Life, written by Ellen Lawrence. Amanda at Tamarack Writes has shared a book about probably the most famous fictional spider ever, Charlotte’s Web by E. B. White. For a list of more spider-related books separated by reading category, see Science Books for Kids. Are you sharing a review of a STEM book on your blog? Feel free to leave a link in the comments. Copyright © 2013 Roberta Gibson All Rights Reserved. Love it Roberta! My 7 yr old was just saying how he wants to study about spiders! And thanks for the link and the visit to my site. Our family loves The Salamander Room. Great choice! Hi Roberta – I love it that you’re focusing on spiders! 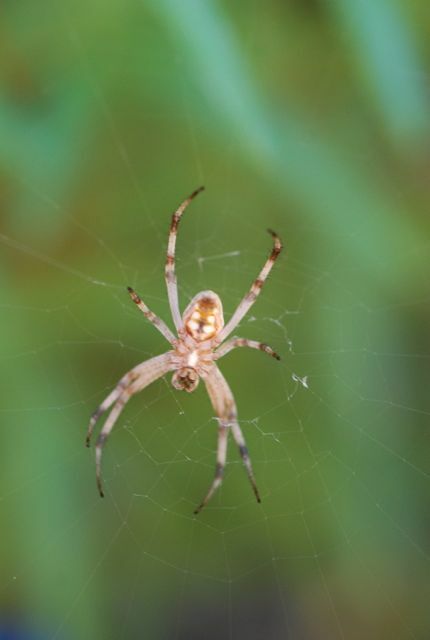 Thanks for linking to my grass spider post – gosh those guys are shy!